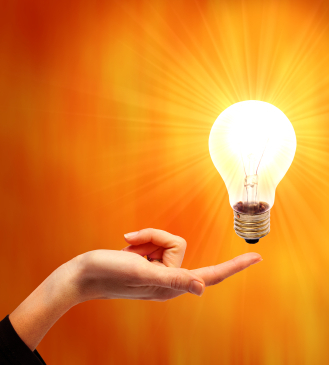 In our line of work, we see loads of DIY attempts at electrical work. To be blunt – most of them are darn right lethal and can kill. Here’s just a few that we have seen in the past few weeks. 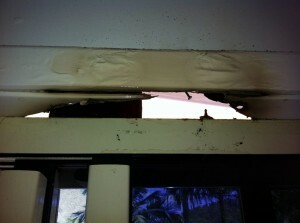 The first one was an illegal and dangerous exposed joint in a ceiling. 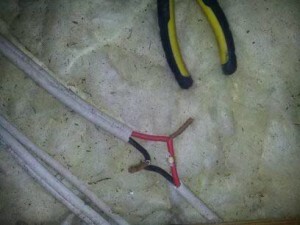 Rather than safely joining these wires, these live wires were left exposed and highlights the dangers of working in ceiling spaces. Kev, one of our electricians almost sat on it! 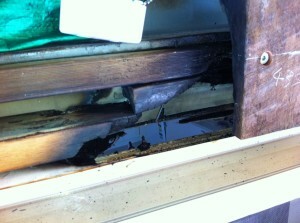 The second problem area is from builders not taking care with electrical work. In these pictures you can see the damage caused by a halogen spotlight removed by a builder and rested against a timber beam. The spotlight burnt through to the other side of the beam, and the whole thing was glowing. 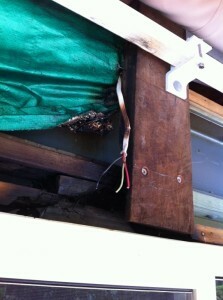 Our electricians don’t know how this roof didn’t catch alight! 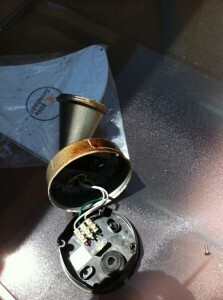 Halogen lights need to be treated with respect, and must be correctly installed. If you have any dodgy wiring at your home or business (or you are worried that something isn’t quite right), please call Tradesmen On Time. It is not worth the risk. These hidden dangers can cause house fires, injuries and can kill.